After 11 years of operation within South Africa and neighbouring countries, the first inter-continental route was introduced. On the 10th of November 1945 the first "Springbok" service embarked for a three day journey to the United Kingdom. Operated by an Avro York the flight could take up to 34 hours with stops in Nairobi, Khartoum, Cairo, Castel Benito before finally heading to Hurn Bournemouth, as Heathrow was not yet operational at the time. The route became very popular and the Avro was scheduled six times a week, later replaced by a DC-4 aircraft. no. 2 - South African Airways goes "down under"
In November 1957 the first South African Airways flight departed towards Perth in Western Australia. In the 50's more and more jets were introduced into many airlines' fleets around the world. But it was still the DC-7 that held the title of the fastest piston-engine airliner in the world. It proved itself very reliable on the Springbok service between Johannesburg and London, just requiring one stop in Khartoum. When the first Douglas left for the so called "Wallaby" service the aircraft had two scheduled stops on its way, one in Mauritius and another one on Coco Island. 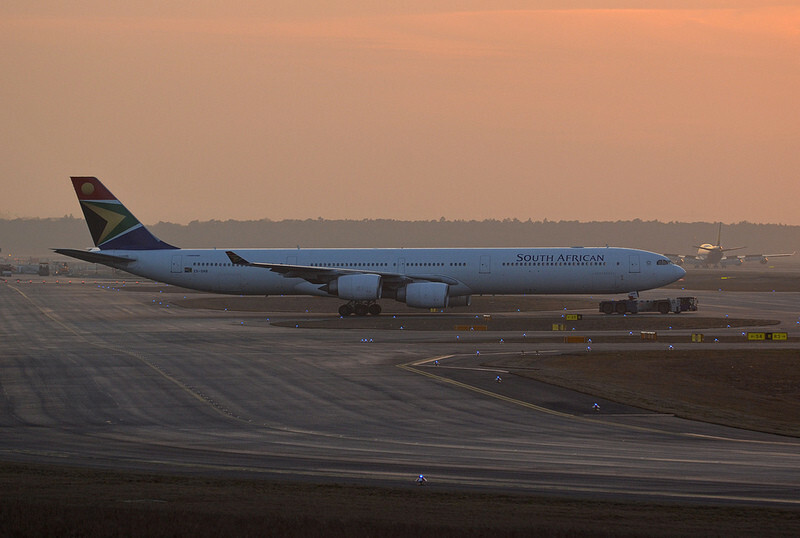 Today over 60 years later, SAA still operates a daily flight to Perth on an Airbus 340, its only direct flight to Australia and is one of only two direct flights from Australia to Africa. Flights from Johannesburg to Sydney are operated by Qantas on a codesharing basis with South African Airways. It had become very loud around the Jan Smuts Airport in Johannesburg. The jet age had arrived in South Africa and the booming noise of the de Havilland Comet became a familiar sound. 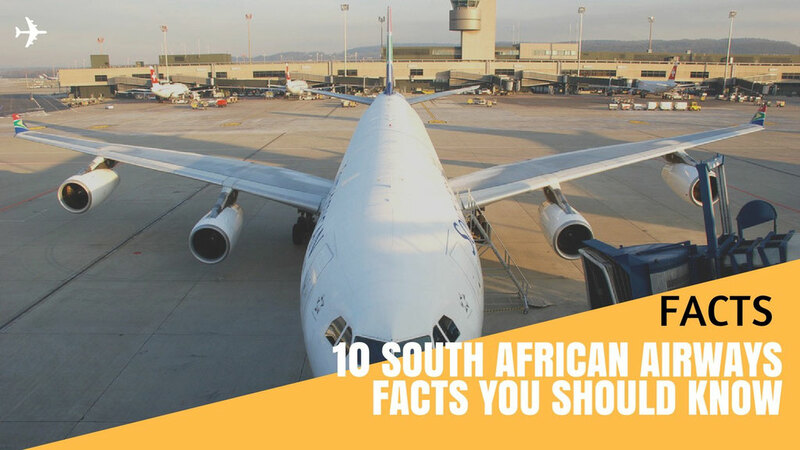 The flagship carrier of South Africa became the first airline in Africa and only the second one in the world to operate a passenger jet on commercial flights. It was the 4th of October 1953 when the de Havilland Comet left London for Johannesburg. The jet operated until 1960 and was later replaced by the new Boeing 707. 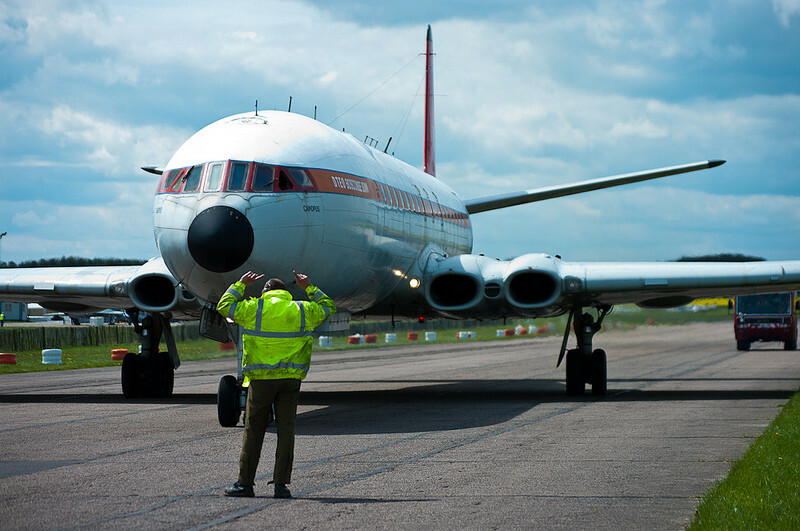 The Comet was the first ever commercial passenger jet in service. More than 114 aircraft served more than 40 years for many different airlines around the world. Today the airplane would be considered a bargain but back in the days the aircraft was sold for £275,000 a piece! In 1995 South Africa was about to host one of the greatest sporting events in history, the Rugby World Cup. But it was more than just a tournament to the nation. Many South Africans, both black and white, doubted that rugby could unite a nation torn apart by some 50 years of racial tension. For many blacks, especially the radicals, the Springboks symbolised white arrogance during the time of apartheid. But Nelson Mandela and the Springbok captain Francois Pienaar believed that the tournament could reunite the nation. South Africa surprisingly made it into the grand final of the World Cup facing the New Zealand All Blacks. More than 60,000 specatators ready for a great final were about to witness one of the greatest moments in sporting history. Before the game began, a 747 jetliner flew over the stadium, demonstrating a great show of patriotism. "Good Luck, Bokke" the Afrikaans nickname of the Springbok's was painted on the bottom of the airplane. South Africa won the Rugby World Cup 15-12 and a nation was reborn. South African Airways was rated not only a 4 star airline by Skytrax, but also named as the best airline in Africa followed by Air Seychelles and Air Mauritius for the fifth consecutive time. For instance, Emirates who was voted the best airline in the world is also considered a 4 star airline. That once again shows the quality standards of the African carrier. The enthusiasm and attitude of the cabin crew was voted as the most outstanding in the world. Pure dedication and happy bubbly flight attendants are the keys of great service. If there is something a South African always has to spare it is definitely a big smile. Keep it up! They also took a recent review of South African Airways Business class and Premium Economy class. They say it is one of Africa's best. 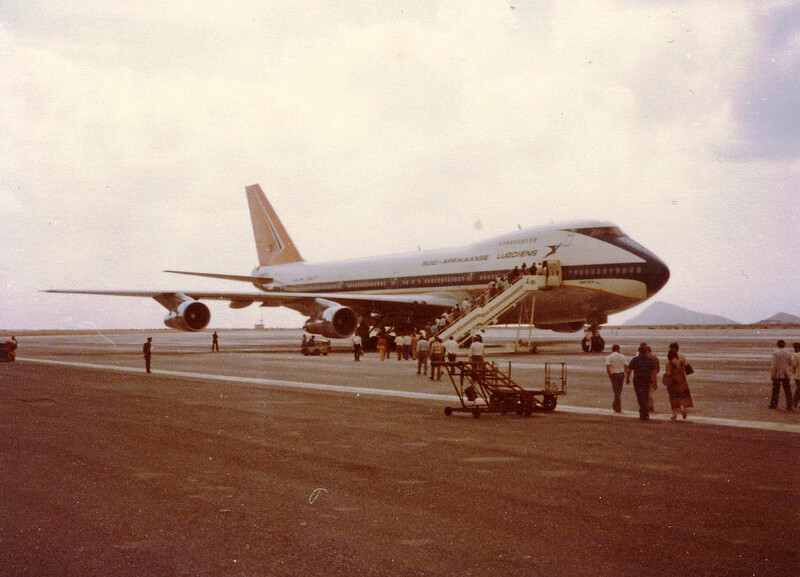 On the 23rd of March 1976 the Boeing 747SP (special performance) broke a world record. Not as you think for the chubbiest aircraft in the world but for the longest non-stop commercial flight between Seattle and Cape Town. The airplane covered 16,560 kilometers in just 17 hours and 22 minutes. It was a non-stop delivery flight from the Boeing factory in Everett, Seattle all the way to the foot of the Table Mountain in Cape Town. The current record for the farthest flight on a commercial airplane was set on the 9th of November 2005 from Hong Kong to London. The Boeing 777-200 covered a distance of 21,600 kilometers in little bit less than 24 hours. Both flights were of course performed without any passengers or cargo on board. 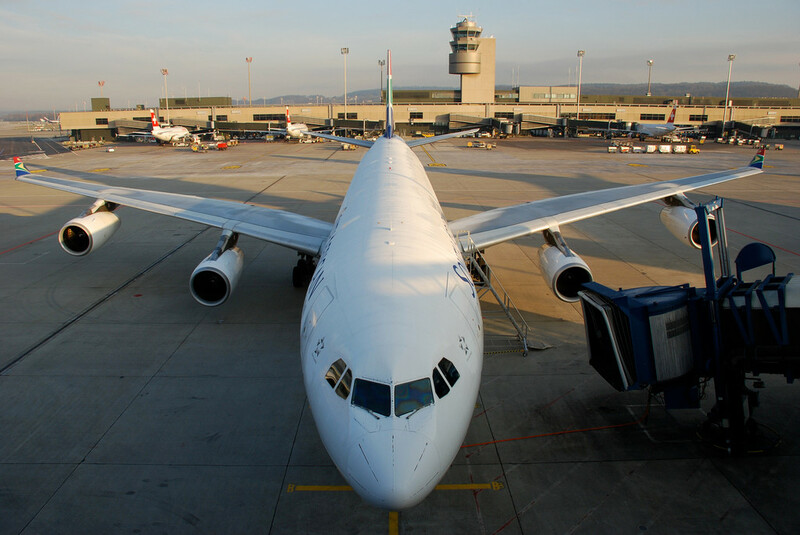 The most common description by pilots departing and landing at Johannesburg International airport is "high and hot". Situated almost 1,700 meters above sea level, this makes the airport one of the most challenging in the world. That means in practice that the aircraft usually needs a little bit more distance to take off due to the thin air. The thinner air is also the reason for the longer than usual runways. O.R.Tambo is even busier than Cairo International Aiport and therefore the busiest on the African continent. More than 20 million passengers land and leave the airport each year. The airport formerly known as Jan Smuts International is located only 35 kilometers from Johannesburg itself. In the year of apartheid South African Airways was banned from flying over most of the African continent. SAA flights to Europe usually had to stop in Gran Canaria or Lisbon. The airline had to fly around the African bulge. That extended the travelling time to London by almost three hours. 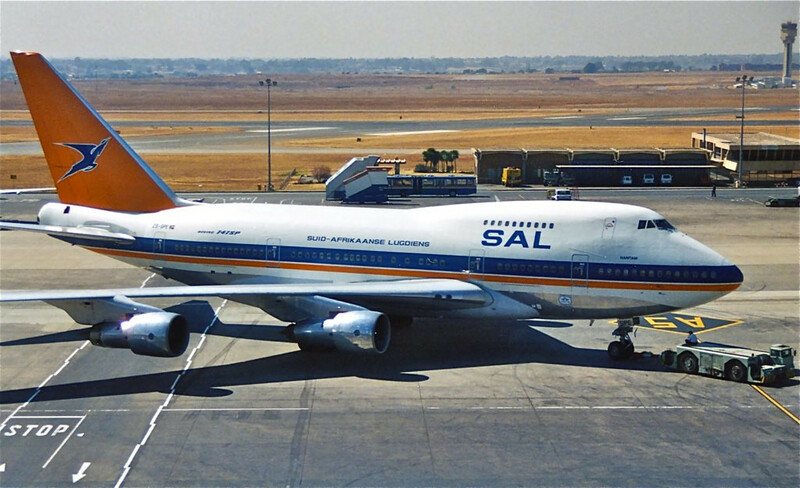 Later by the end of the 1980's every South African airline was banned from landing in the United States due to the comprehensive Anti-Apartheid Act. Australia also stepped up against racism in 1987 and refused any landing rights within the country. With the end of apartheid by the end of 1990 most of the bans were lifted and new destinations were introduced to Africa and Asia. Flights to America resumed in November 1991 again with a route to New York City. South African aircraft were also allowed to enter Egyptian and Sudanese airspace for the first time. When an airplane retires in such airlines they are usually sold or sent to scrap. 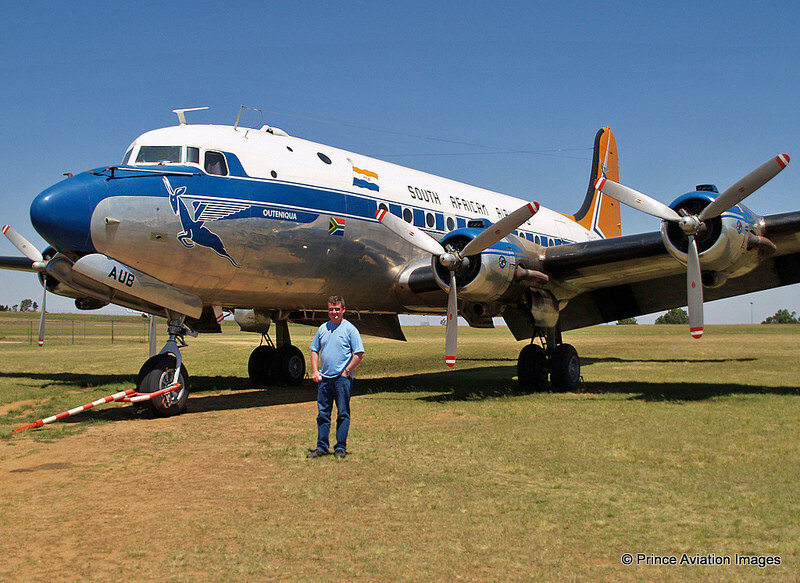 A few aviation fans in 1986 thought about establisihing a museum to keep most of the South African Airways gems such as the 747SP, DC-4 or Junkers 52. At Rand Airport you will find all of these historic aircraft lined up. You even can explore the whole inside of the Jumbo Jet. 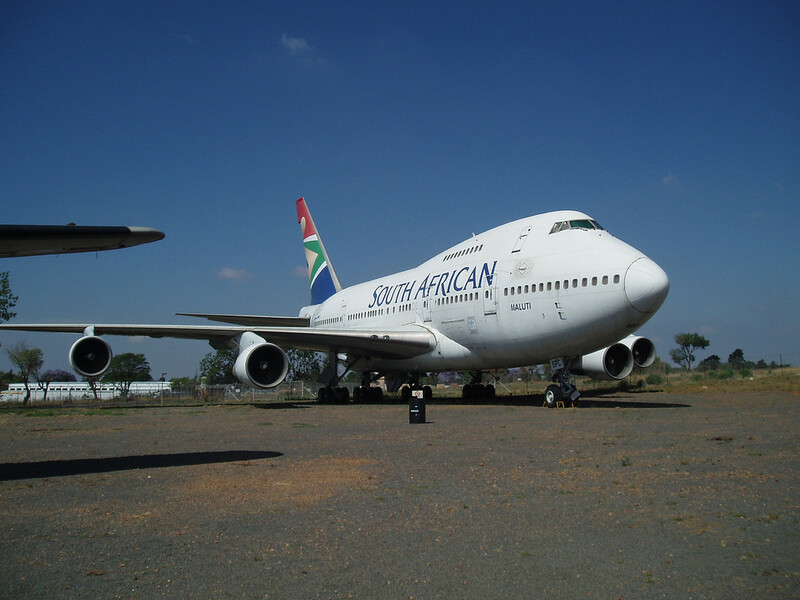 It is indeed an exciting tour and the only museum that keeps a fully intact 747SP. Every Muslim has to visit Mecca at least once in their lifetime, assuming they can afford it. In 2005 South African Airways introduced a non-stop Hajd service to Medina, which was a privilege that until then was only reserved to Saudi Arabian airlines. The African carrier was the first non-Saudi airline to do so. 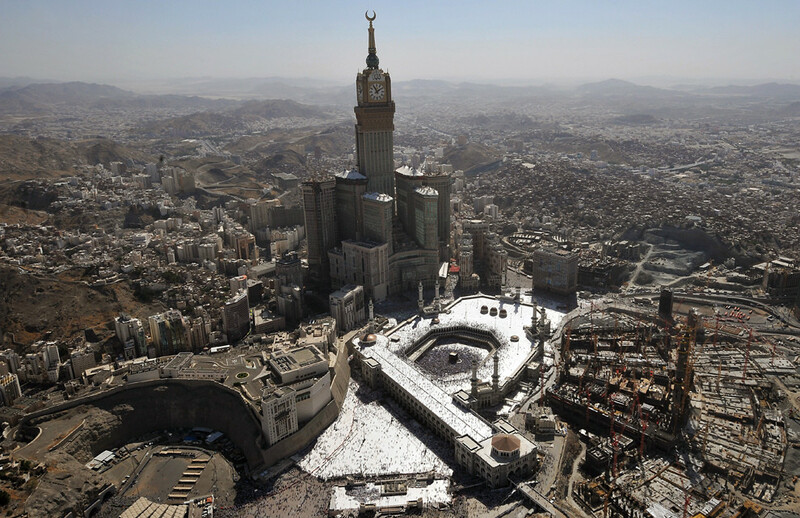 Even though just 3.7 percent of the South African population follow Islam there was apparently a big enough market to launch direct flights to Medina. Millions of pilgrims travel to Mecca every year. Only muslims are allowed to enter the Holy City which is also the birthplace of Prophet Mohammed, who is believed by Muslims as the messenger and prophet of God. My Travel Hack shared with you!